You must have heard so much about taking care of your skin. So many cosmetic procedures and skin products can enhance the beauty of your skin to make your skin look good. Yes, skin care products do play an important role in making your skin look brighter. Like, the Revitol anti aging solution can prevent early signs of aging on your skin. Skincare is all about your effort and the way you want to look. If you do not give your 100 percent, then it is not possible to get a glowing skin. 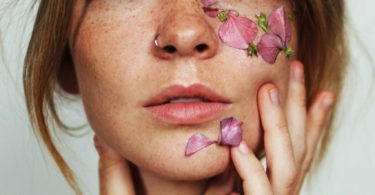 Here are 10 skin care tips that can actually change your life. Irrespective of your skin texture, it is a must to set up a skincare routine. Daily cleansing helps to remove the dirt from the surface of your skin. Moisturizing provides hydration and prevents dryness in an effective way. Exfoliation is great to remove dead skin cells and prevent wrinkles and signs of aging. Toning is good to maintain the Ph balance of your skin. So, a daily skin care routine is a must for your skin. If you do not use essential beauty oils for your skin, then start using it now. Beauty oils such as lavender, jojoba, and almond can not only make your skin soft but these oils are also effective to prevent aging signs. Beauty oils can enhance the texture of your skin. Apply an oil best suited to your skin type. Makeup can make you look pretty, but do not use makeup in excess. Makeup can make your skin dry and dull and cause wrinkles on your skin. If possible, use minimal makeup on your skin. You can also choose to apply organic makeup for your skin. If you do not hydrate your skin, then your skin will lose its shine and it will look dull. Drink water in good quantity to properly hydrate your skin. In fact, drink lots of liquids to hydrate your skin. The more you hydrate your skin, the more it will make your skin glow naturally. Foods that are rich in omega 3 are good for your skin. Include natural sources of omega 3. Also, have avocado as its rich in healthy fatty acids and antioxidants. It helps to maintain a natural skin texture and increases the collagen production of your skin. Use skin products that are best suited to your skin. Using wrong products can actually damage your skin. Simply walk for half hour because that will provide oxygen to your skin. Walking helps to release toxins and maintains a shine on your skin. Set a walking routine to get a great skin. Pamper your skin from time to time by using DIY masks for your skin. Choose a mask depending on your skin suitability and make your skin shine in the most natural way. Always choose a sunscreen of more than 40 SPF to protect your skin from sun damage. You can also choose to apply a sunscreen with moisturizing properties to hydrate your skin. Stress can age your skin faster so it is best to remain stress-free if you want to maintain that glow on your skin. Practice stress relief tricks and smile. Your smile can make you look beautiful. Love your skin to take care of your skin and you will always feel wonderful.